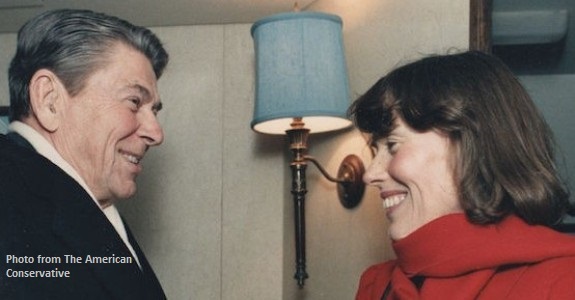 As a state legislator in Pennsylvania she adopted Reagan’s less-government-is-more conservatism and helped establish that tenet as a core value of the national Republican Party, noted Philly.com. As a delegate to the 1980 Republican Party’s National Convention, she helped deliver the crucial Pennsylvania votes that helped him win. Faith twice served as Ambassador to Switzerland, and hosted President Reagan and Soviet General Secretary Mikhail Gorbachev during the Geneva Summit of November 1985. The Geneva Summit was the first time in eight years that the leaders of the Soviet Union and the United States met at a summit conference. The sides, having discussed key security issues, and conscious of the special responsibility of the USSR and the U.S. for maintaining peace, have agreed that a nuclear war cannot be won and must never be fought. Recognizing that any conflict between the USSR and the U.S. could have catastrophic consequences, they emphasized the importance of preventing any war between them, whether nuclear or conventional. They will not seek to achieve military superiority. While she served two stints as Ambassador to Switzerland, Oliver North, and many of us who supported the Nicaraguan Contras, remember her most as Assistant to the President for Public Liaison, where she organized the White House Outreach Working Group on Central America and pressed for declassification and public dissemination of information about Soviet and Cuban intervention in the region. And after Ronald Reagan left office, Faith Whittlesey didn’t stop working for the conservative agenda or fade into a well-deserved retirement. She published dozens of articles, wrote or contributed to books and returned to diplomatic service when President George W. Bush appointed her in 2001 as a member of the U.S. delegation to the United Nations Conference on the Illicit Trade in Small Arms and Light Weapons in all its Aspects. “The highest priority of freedom-loving people is liberty, even more than peace. The small arms you demonize often protect men, women and children from tyranny, brutality and even the genocide too frequently perpetrated by governments and police forces. “The world’s numerous dictators would be delighted to stem the flow of small arms to indigenous freedom fighters and civilians alike to minimize any resistance. “Contrary to your [New York Times] suggestion, the address by John R. Bolton, an undersecretary of state, was not an American retreat but a courageous reaffirmation by the Bush administration of a longstanding American tradition. The New York Times earlier this month ran a story about the recently released U.S. News best countries ranking. Unsurprisingly for those who have lived and worked there—Switzerland was ranked #1. Another un-surprise–the United States was ranked #7. The writer for The New York Times predictably attributed the U.S. slide to President Trump, despite the fact he has been in office less than 3 months. But if we are willing to look elsewhere–and admit that maybe a new Dark Age of Trump has not suddenly succeeded a Golden Age of Obama/Clinton (the U.S. stock market doesn’t seem to think it has)–perhaps it might dawn on us that the new administration is actually trying its best to put into practice some lessons, maybe derived from the Swiss, that could better serve us the next time U.S. News gets around to doing its survey. Ambassador Faith Whittlesey never tired of selling America and Ronald Reagan’s brand of conservatism, her incisive wit, loyalty and optimism will be missed by all who knew her.